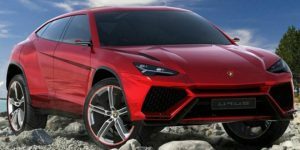 Lamborghini Urus India Launch in Late 2018. Expected Price – Rs 2.5 Crore! The production-spec Urus will make its world debut on December 4, 2017. Subsequently, it will launch in the United States by the third-quarter of 2018. The supercar manufacturer recently came up with a teaser video of the upcoming SUV. This video goes on to show the silhouette of the production-spec model along with glimpses of classics like the Miuara, Countach, and LM002. The car maker will also launch a plug-in hybrid variant of the Urus SUV in near future. Between 1986 and 1993, Lamborghini tried its luck in the SUV segment and introduced the LM002. The car was full of power but lacked that visual appeal and it was the only reason for its departure from the market. 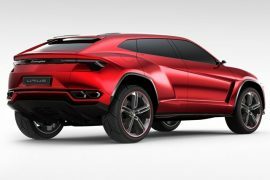 After almost 20 years Lamborghini is back with yet another SUV which is called the Lamborghini Urus. Interestingly, the name ‘Urus’ is inspired from the aurochs, which is an extinct species of large wild cattle found in North Africa, Asia and Europe. 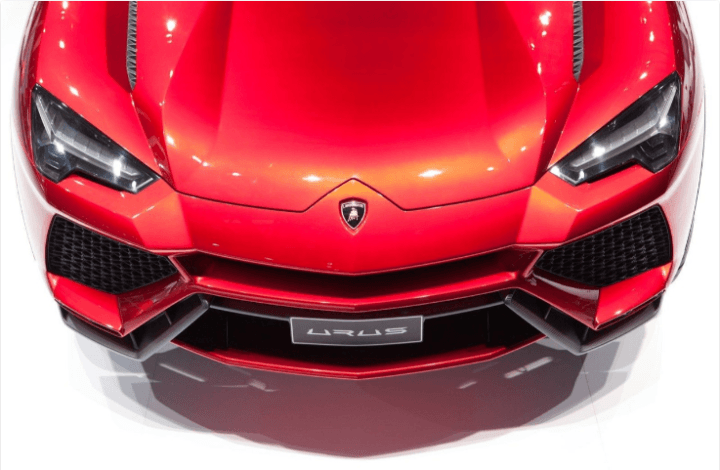 With an investment of over 400 million, Lamborghini has setup a new separate manufacturing facility near by its Sant’Agata Bolognese based plant. This new facility will serve as production hub for the upcoming SUV. It is estimated to produce 1,000 units in 2018, which will be increased to 3,500 units in 2019. 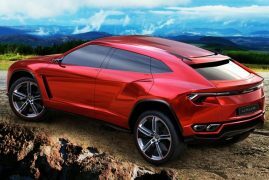 Lamborghini will unveil the production-spec SUV of the Urus on December 4, 2017. It will launch the new SUV in the United States by mid-2018. Subsequently, the new super luxury SUV will also launch in India. We expect a third-quarterr launch date in Indian market. In the United States, the Urus SUV will cost roughly $200,000 (around Rs 1,28,11000). In India, however, thanks to the import duties, the Urus will end up having a sticker price of around Rs 2.5 crore. Powering the Urus is an engine befitting of a supercar from Sant’agata Bolognese. The engine in question here is a 4.0-litre V8 twin-turbo petrol motor that outputs a maximum power of 641 BHP. The company claims that the Urus will offer the lowest CO2 emissions in its class. The engine will be mated to a dual clutch automatic transmission which will be controlled by paddle shifters present on the multifunction steering wheel. The new SUV will offer a four-wheel drive system with four off-road driving modes – Snow, Sand, Gravel, Auto. It’s not for sure if even the Urus would get an custom settings mode similar to the Ego model on the Aventador S. The carmaker claims that the Urus will be world’s fastest SUV. The plug-in hybrid model that will launch later will come with a twin-turbo V8 motor paired to a couple of electric motors. Total power output will be around 680 BHP. The Urus might borrow in plenty from the Porsche Panamera Turbo S E-Hybrid. Technologically it is way too advanced and features a lightweight construction that enhances the dynamics of the car. Underpinning the upcoming SUV from Lamborghini is parent company Volkswagen’s MLB platform. The Urus gets a coupe-ish silhouette and some really bold creases. While the new model looks every bit a Lamborghini, it looks far more muscular and rugged than any other model in the manufacturer’s lineup. 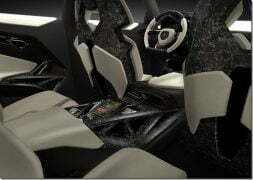 Talking about the interior, it will look as new-age and attractive as the exterior. Some of interesting bits about the interior include a sporty ambiance, a four-seat layout, and a decent luggage compartment. 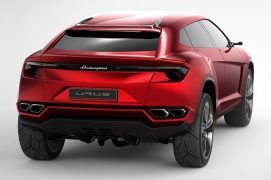 The Urus really looks like a supercar on stilts from many angles. Are you waiting for the Lamborghini Urus India launch to take place? Tell us by commenting below.